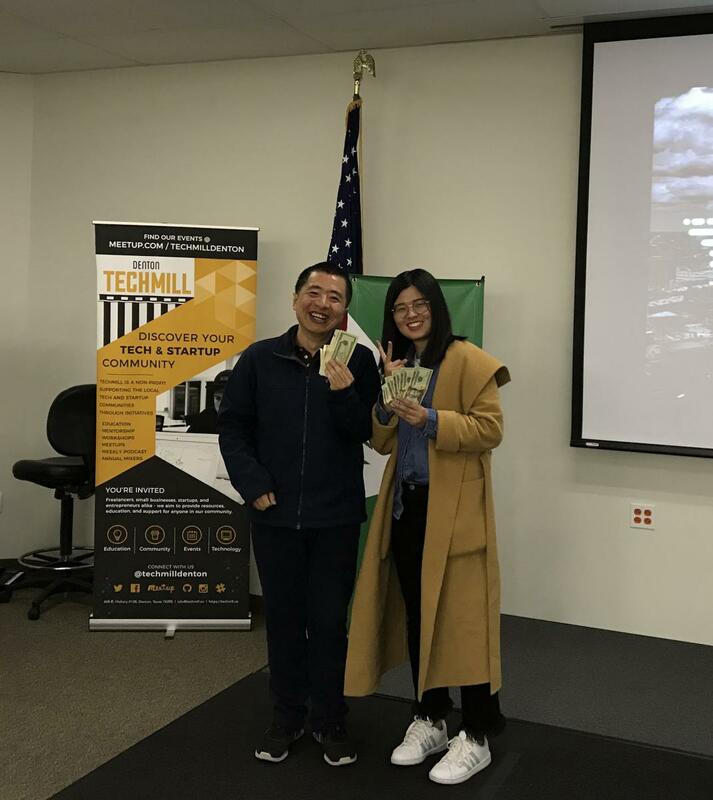 Congratulations to IS visiting scholar, Dr. Shuyi Wang, and IS visiting doctoral student, Chunying Wang, who won first place at the HACK NTX event that took place on Saturday December 1, 2018 at the UNT Frisco campus - Inspire Park. Dr. Wang and Chunying developed a Machine Learning Model to evaluate the correlation between reported Waze incidents in the DFW area. Their team, called "Watch-dumplings" focused on data for DFW Waze traffic and visualized different kinds of events with Phyton and Geopandas package. Dr. Wang built an LSTM (Long short-term memory) sequence model with Python and Keras, and they were able to make predictions about serious traffic jams. The Hack NTX event is a community organized civic technology hackathon, organized by Techmill, a registered 501(c)(3) nonprofit organization focused on building community through networking, events, and education. Participants formed teams and using data provided by organizations, each team built out an idea into a product that can have a measurable, positive impact on the community. Dr. Shuyi Wang is an associate professor of Information Science at the School of Management, Tianjin Normal University. He is currently a visiting scholar at the UNT Intelligent Information Access (IIA) Lab in the IS Department. His research interests include Privacy Protection, Natural Language Processing with Machine Learning, and Computational Social Science. Chunying Wang, who is currently a joint Ph.D. student at the IIA Lab, is a library science doctoral student at the School of Information Management (iShool), Wuhan University. Her research interests include open data, information literacy, and library education. They each received $100 cash prize for their first place win at the competition. Kudos to Dr. Wang and Chunying on their smart and creative concept!